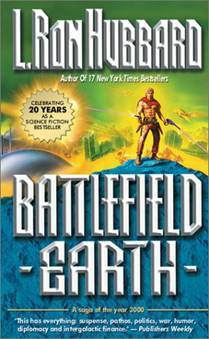 Read/Download part 1 A few years ago, I wrote Battlefield Earth to celebrate my golden anniversary as a writer. At nearly a half million words, it was a bit larger than others I had turned out in my fifty-year career. But, after all, it was my anniversary so I decided to splurge. It was fun to write and if best-seller lists were any indicator, people found it fun to read. It was also gratifying to know that pure science fiction (as I defined it then) has such a wide audience. It reminded me again of sf's many facets: adventure, romance, drama, comedy, tragedy and intrigue, with adventure science fiction probably the most dominant type within the genre. However, there is another aspect to science fiction: by its nature most of it has an element of satire. It has been used by such notables as Mark Twain, Johannes Kepler, Samuel Butler, Jules Verne and Sir Thomas More. This becomes more obvious when the history of satire is examined and compared to science fiction. Satire is not restricted to the western world. In fact, the Chinese character for the word can be translated as "laughter with knives." Meanwhile, the origin of our word satire is not as sharp. It comes from the Latin satura which meant "medley" or "mixture" and seems to have been part of the vocabulary of food to describe a hodge-podge assortment, a "mixture full of different things," such as a bowl of mixed first-of-the-season fruits. The essence of the word seemed to mean a simple dish of a down-to-earth variety that may have been common but it was hearty, healthy, satisfying and fun. It was quite natural that satura came to be used for the popular, improvised skits that were performed before an undoubtedly boistrous Roman audience. There was no form or plot. Song, prose, verse and dialogue were enthusiastically mixed to entertain with praise and ridicule. Thus when the father of Roman poetry, Quintus Ennius (c. 239-169 B.C. ), chose to introduce the word satura for some of his poems, he probably borrowed from both uses and meant that his poems were a simple (but hearty and healthy), jocular mixture of drama and comedy that mimicked and entertained through prose, verse and song. But it wasn't until the seventeenth century that the actual origin of the word satire was discovered. Until then, writers were misled into believing that satire came from the satyr, the rude, shaggy, half-human, half-beast creatures that drank wine and chased wood nymphs, and so mistakenly thought that satire should be crude and rough. But the origin of the word had nothing to do with them and the idea really had little to do with the Greeks who did not consider satire as a genus of literature. It was left to the Romans to develop the art form that addressed the everyday frustrations of life. Two of their poets, Horace (65-8 B.C.) and Juvenal (A.D. 50-130), represented the two classic schools of satire— the playful and the cynical. Both used and contributed to the development of formal verse, a poetic form that was to dominate satire until the eighteenth century. Horace was seen as the playful wit, the optimistic, sophisticated critic who, though serious, is light and "tells the truth with a laugh." Juvenal, at the other end, was the bitter cynic who seethed with anger, believed people were incorrigible and wrote to wound and punish, not to cure or instruct. Thus one was a physician. The other an executioner. The judicial nature of satire had yet to fully develop. Although writers on the history of satire pass over it quite briefly, there was another school of satire named after Menippus, a Syrian who took up residence in Greece in the third century B.C. While the original thirteen books that Menippus wrote were lost somewhere in antiquity, he was popularized and imitated enough by others that we do know that his favorite target was philosophers, especially the Stoics. Rather than being structured in the formal verse preferred by Horace and Juvenal, Menippean satire was truly a satura. It varied not only in content but mixed verse and prose and even Greek and Latin. Menippean satire was essentially a prose narrative with some poetic verse inserted, probably as parodies of Homer, as a means to ridicule some folly. Some scholars have noted just enough similarity to The Arabian Nights to wonder if it was a creation of Menippus or of Semitic origin. Of course, the idea of a story that employs or revolves around a voyage into unknown, hypothetical or fantasy worlds is not new. When so little was known or recalled about our planet, such tales abounded and virtually any civilization or world could be imagined, as Homer epitomized in the Odyssey. But unlike new seas or lands over the horizon, the moon was in view, looking down on Earth as both companion and alien. It offered a new platform for the satirist. So when Lucian's True History was translated into English in 1634, satirists travelled to the moon to set up their base—a base some would say also helped launch science fiction. Cyrano de Bergerac's Voyages to the Moon (published as The Other World in 1657) was a vehicle for social satire while it was also the first work to propose rockets as a means for space travel. De Bergerac's satire, in turn, prompted Swift to write Gulliver's Travels (1726) which had, amongst the bizarre characters representing segments of society, flying cities and the two moons of Mars, long before their discovery. Daniel DeFoe used a flight to the moon as a means for satire in The Consolidator (1705), published 14 years before his Robinson Crusoe. Edgar Allen Poe used such painstaking detail of a trip to the moon in The Unparalleled Adventures of One Hans Pfall (1835) that it reportedly inspired Jules Verne that verisimilitude was the key to success. Verne's From the Earth to the Moon appeared in 1865 and H. G. Wells followed with First Men in the Moon in 1901. Science fiction had finally arrived, thanks in part, to satirists paving the way. 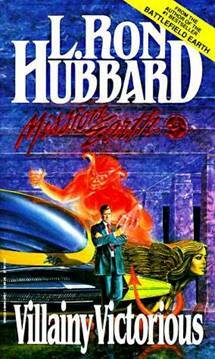 Meanwhile, satirists also took readers to other planets well before the now-accepted sf writers. The master of satire, Voltaire, whose Candide in 1759 was the epitome of satura, wrote of a giant from a planet that orbits the star Sirius who visits Saturn and then Earth in Micromegas (1752). Looking down at our planet, a Saturnian who accompanied the giant remarks, "I think there is no life on Earth, because I don't believe any intelligent people would ever consent to make their home here." When travel in outer space was too constricting, there was always time travel. H. G. Wells used it in The Time Machine (1895) for some satirical comparisons of England's class structure. But even the Romans had designed a way to "time travel." A Menippian satirist, Marcus Terentius Varro (c. 116-27 B.C. ), was an early Rip Van Winkle when he wrote how he fell asleep in Rome and woke up fifty years later, which offered opportunities for some comparative comments about society. As man and his quest for knowledge had always been my primary interest for study, my first story ("The Dangerous Dimension") was about a henpecked philosopher who discovered that space was nothing but an idea, a viewpoint of dimension. He found that his viewpoint wasn't determined by the space around him. It was just the opposite. Well, to a typical western mind of the twentieth century, that's pretty radical. I didn't tell John that the idea was actually as old as Buddha and resolved some other sticky questions like time. Besides, he had enough of a problem being ordered to publish whatever I wrote. So I composed it with a light satirical touch and a little humor to make it as palatable as possible and left it at that. Satire may be funny but that which is funny is not necessarily satire. Comedy actually relies on the audience seeing a misplaced or unjustified emotion. The laughter produced in comedy is actually a rejection, a relief of emotion at recognizing the incongruous attitude. For example, imagine a scene where a person is eating at an elegant table. Everything is perfect—the setting is the finest china, silver and crystal, a magnificent center display, candles. There is only one thing wrong. What he is eating, what is on his plate, is an old shoe. He cuts a piece with knife and fork and takes a bite. He chews, lifts the napkin from his lap to delicately touch the corner of his mouth and smiles cordially to a fellow guest before taking another bite. If it were played and timed well by a fine comedian like Charlie Chaplin, it would be funny. But what is funny is not the shoe. It is the diner. But more specifically, it is his emotion or attitude. While there is NO "proper" way to eat a shoe, his demeanor in doing it with impeccable manners makes it even more incongruous. Hence the humor. To answer that question, we would have to find who or what is being satirized. In other words, the difference between comedy and satire is that satire is achieved by a caricature, as cartoonists (often on editorial pages) do with the identifiable features of a well-known person. Impersonators do the same with voices and mannerisms, sometimes so well that they evoke a comment of how they look or sound more like the person than the person themselves. Their talent is in seeing and capturing distinguishing features, bringing them to the fore. When it is done to the point of exaggeration, we have the caricature and that is where satire enters. With satire one deliberately strays from the world of pure fact. Although satire is sometimes identified with comedy— and certainly it can be very funny—it is essentially concerned with exposing some flaw or excess. To differentiate it from straight criticism, it is wrapped in incongruity to enhance the differentiation. Sometimes, like a bitter pill is coated with sugar, the barb is lightened with humor. But even then, the laugh that satire produces is more often a foil aimed at the heart of human folly. Satire and its related cousins such as wit and the pun require a discernment. One must first be able to recognize what the joke is about. That's why a sense of humor could be said to be based on the ability to observe or discern. If a person is too literal, takes statements literally, they won't "get the joke," especially if it is based on a play of words. In fact, one might even say a person's sense of humor, his or her sense of play, could be a measure of his or her intelligence. George Orwell's Animal Farm (1945) is funnier if you know communism, unless you happen to be a communist. But the targets of satire are always the last to laugh. Due to various personal reasons, they cannot see the joke. But satire is not written for them. It is written for others so that, like the fable, they can see that the "emperor has no clothes." That is why satura is fun. So I hope you find this satura very edible, though I'm sure certain individuals and institutions will charge that this bowl of fruit has sharp seeds. 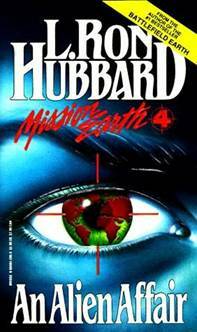 Read/Download part 2 The fantastic Mission Earth saga continues with Black Genesis, as the aliens implement their insidious plan to infiltrate Earth society. 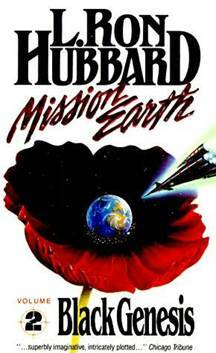 Every volume of the Mission Earth series has been a New York Times bestseller and a Literary Guild Alternate Selection. Get in on the profits b y cashing in on Mission Earth-Mania! "You will lose sleep, you will miss appointments... if you don't force yourself to put it down... "
"... fantastic adventure, beats like a strong pulse." "Wry humor abounds — but never lets you relax for very long." expect from an experienced pro." "Marvelous satire by a master of adventure." "Lively and entertaining ... a rollicking delight." "... an outrageous and wildly funny read." Buy it and read it first! Read/Download part 3 The sensational Mission Earth series continues in The Enemy Within as the Imperial agents implement their insidious invasion. Read/Download part 4 Soltan Gris, head of the Earth section of Voltar's secret police, is determin to stop Jettero Heller, a combat engineer who is trying to bring peace to the planet Earth. 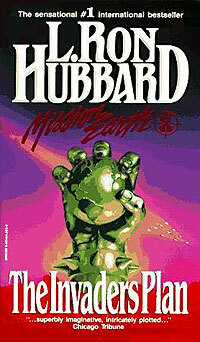 Read/Download part 5 A monumental work -- acclaimed as agenuine masterpiece -- L. Ron Hubbard's 1.2-million-word-ten-volume MISSION EARTH dekalogy brilliantly blends science fiction and action/adventure on a vast interstellar scale with stinging satire -- in the literary tradition of Voltaire, Swift and Orwell -- on the world's foibles and fancies. 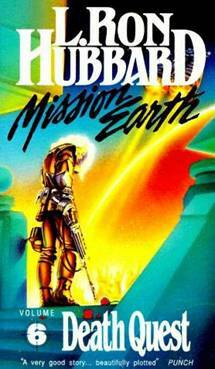 A true publishing phenomenon -- precedent-setting when each volume, in turn, became a New York Times and then an international bestseller -- MISSION EARTH has already sold more than five million copies and continues to appear on bestseller lists in contries throghout the world. 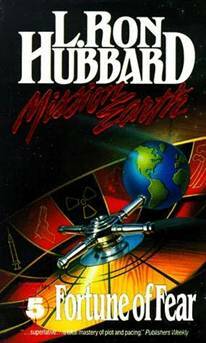 Winner of France's Cosmos 2000 Award and the Nova Science Fiction Award in Italy, and nominated for a Hugo Award, MISSION EARTH is an epic narrative of a secret invasion of Earth as seen-and vividly recounted -- by the aliens who, unrecognized, already live and work among us. It is a novel crowded with sharply memorable characters and with places and events cloaked in splendor, menace and mystery: Palace City, Joy City, the forbidden prison fortress of Spiteos, the violent fall of the Voltar Confederation. The Voltar Confederation has a long-range plan to use Earth as a strategic staging area in its continuing conquest of the galaxy. 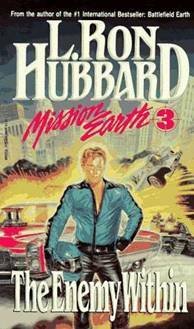 However, with the discovery that Earth is being destroyed by pollution, drugs and other menaces, Combat Engineer Jettero Heller is sent on a top-secret mission to save the planet from self-destruction. Unknown to Heller, another Voltarian faction (the Coordinated Information Apparatus) has secretly been using Earth as a supply base for drugs. It dispatches its own counter mission to thwart Heller's plans. 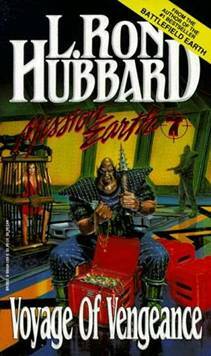 Read/Download part 7 The rousing Mission Earth saga continues in paperback as the aliens' plan for taking over Earth takes even more complex twists and turns. Don't miss the daring exploits of Jettero Heller, the Countess and their evil spymaster as they ricochet through a world that hardly recognizes its impending doom. 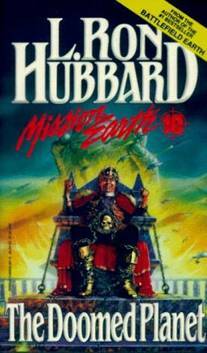 Read/Download part 8 Hubbard's spellbinding, earth-shattering series continues with the most startling entry yet. In Disaster, Jettero Heller, the Countess Krak, and their evil spy master draw their insidious net even more tightly around the Earth. 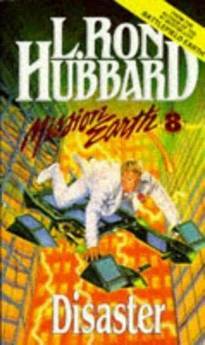 Read/Download part 9 Volume 9 of the smash series Mission Earth by the author of Dianetics--L. Ron Hubbard. Join the alien agents in their intricately plotted attempt to infiltrate Earth's population and put an end to the "threat" of a future rival in space.